Do You Need A Lawyer For A Car Accident? NEW YORK – Over the course of a typical driving lifetime, there’s a good chance you’ll be involved in three to four accidents. Most of these accidents are minor fender-benders, but some could be trouble, and it’s always important to know what to do when you’re in these situations. One of the most common questions people will ask a Bronx car accident lawyer during this time is, Do You Need A Lawyer For A Car Accident? The quick answer: it depends. You were at-fault for the accident, your insurance company will assign a legal team to your case, if necessary. If you’re ever unsure if you need a lawyer for a car accident or not, give one a call. According to a Bronx accident lawyer, New York has several law firms, like Cellino & Barnes, that have a “No Fee Promise.” That means you won’t owe them a penny unless they win your case. Questions about your accident? Give us a call and we’ll help you find the answers you need for FREE. Call the Bronx car accident lawyers at Cellino & Barnes for a FREE consultation. What’s Next For The Passengers of Southwest Airlines Flight 1380? NEW YORK – The National Transportation Safety Board conducted their initial examination of the faulty engine that exploded at 32,000 feet this week, but investigators walked away with more questions than answers. New York airplane accident lawyers at Cellino & Barnes say these kinds of accidents are extremely rare, and a full investigation will determine the cause, and hopefully result in meaningful changes that will help prevent future accidents from happening. The incident claimed one life and injured several others, but aviation experts say the accident could have been much worse. The aircraft, en route from New York City to Dallas, was flying at 32,000 feet when the explosion happened. Not only did pilot Tammie Jo Shults lose an engine traveling 500 mph, but the aircraft also sustained damage as shrapnel struck the fuselage and the cabin began to depressurize. Amazingly, Tammie Jo Shults calmly guided the aircraft to a safe landing at a Philadelphia airport. Shults and her co-pilot, Darren Ellisor, released a statement on Wednesday. At the same time, several passengers also deserve credit for their heroic actions on flight 1380. Passengers Andrew Needum, Tim McGinty and Peggy Phillips helped pull a woman’s body back into the cabin after a passenger was partially sucked out of a depressurized window. Firefighter Andrew Needum was trained for emergency situations, and he put his life on the line in a heroic attempt to save others. “I felt moved to act, as well as others on the plane,” he told reporters at his firehouse in Celina, Texas. Peggy Phillips, a retired nurse, instinctively began CPR on the injured passenger. Sadly, the passenger had already died. Jennifer Riordan, a bank executive and mother of two from Albuquerque, New Mexico was sitting in the window seat closest to the engine as it exploded. The malfunction caused the window to break, creating a sudden loss of pressure in the cabin. As a result, Jennifer Riordan was partially pulled out of the window as other passengers rushed to her aid. Tragically, Jennifer Riordan died from blunt impact trauma to her head, neck, and torso, a Department of Public Health spokesman said. Investigators with the NTSB still can’t explain with certainty why the Boeing 737 engine exploded in mid-air. 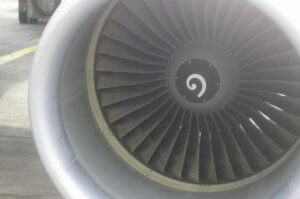 What they DID find was a previously undetectable crack on a fan blade that could have led to the engine failure. According to investigators, the blade broke twice. One of the cracks found was consistent with metal fatigue. Metal fatigue is a weakening of a metal due to incredible stress, which can cause a number of small and sometimes microscopic cracks. New York airplane accident lawyers say the preliminary investigation named metal fatigue as a ‘contributing factor,’ but as the investigation continues, the NTSB may find more factors at play. The NTSB will likely collect every piece of debris they can find, and attempt to reconstruct the engine, New York airplane accident lawyers said. The investigation may also focus on the window, and what may have prevented it from breaking in such an event. According to CNN, Southwest Airlines issued $5,000 checks and vouchers to the passengers of Flight 1380. However, that does not cover the physical and emotional tolls many passengers and their families have endured this month, and several families may soon decide it is time to file a lawsuit. These are just a few scenarios, and all are based on previous incidents. A full accident investigation of flight 1380 will determine exactly what went wrong and why. If you or your family have any questions about aviation safety or injury law, the New York airplane accident lawyers at Cellino & Barnes consist of experienced attorneys, doctors, and pilots with the resources and technical experience that can help you get the answers you need. How Long Does It Take To Get A Settlement From A Car Accident? NEW YORK – When a person has been injured in an auto accident, they have a lot on their mind. You’ll certainly have many questions. One of the most common questions our car accident and injury lawyers hear is, How Long Does It Take To Get A Settlement From A Car Accident? It’s an important question too! With mounting medical bills and lost wages adding-up, a quick settlement might be able to alleviate some of that stress. But an experienced New York accident lawyer at Cellino & Barnes says that’s not always the best strategy. 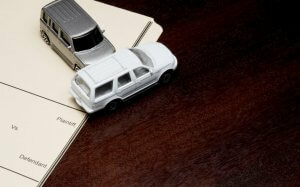 Getting a car accident settlement can take anywhere from a few weeks to several years. While a quick settlement may sound nice, it often severely limits the amount a person actually recovers, and it may not be in your best interest. Accepting the first offer the insurance company gives you usually won’t get you much. A better strategy would be to gather all of the information you can possibly obtain before making or accepting a settlement offer. According to one accident lawyer, New York is home to many law firms that simply don’t do that. There are dozens of ‘personal injury’ lawyers who have never even taken a case to trial. Whether it was an accident involving a commercial truck or your daily auto accident, some lawyers don’t care to put in the work. Instead, they focus on getting a fast settlement and moving on to the next case. Our car accident lawyers don’t believe that strategy helps you, the client, at all. In the world of personal injury, information is king. How has the accident affected your life? How will your injuries impact the rest of your life? How much will future treatments cost? 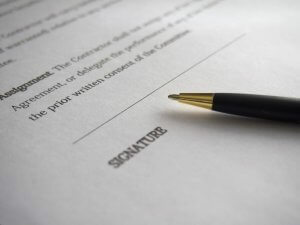 These are all questions that should be considered before accepting any settlement offer. Once you say ‘yes’ to the insurance company, that’s it. That’s all you’ll get. The New York car accident lawyers at Cellino & Barnes are all trial-tested and have years of experience negotiating settlements with the big insurance companies. Our law firm’s goal is to get our clients the best results possible, and we believe preparation and experience are the biggest keys needed to obtain a successful settlement or verdict. If you or a loved one has been injured, call Cellino & Barnes for a FREE consultation. Whether your case takes a few weeks or several years, an experienced New York accident lawyer can help answer your questions and provide guidance throughout the legal process. Call us now for your free consultation. BUFFALO, N.Y. – If you’ve been injured in a car accident, you may be wondering, “what’s my case worth?” If you ask for too much, the insurance company may just tell you to file a suit. If you ask for too little, the insurance company will gladly accept your offer because it’s way below what your case is really worth. The bottom line is, there are a lot of variables and factors that can help you determine what to ask for in a Car accident settlement. The key is being able to identify these factors so that you can maximize the value of your injury claim. Whether you have a small claim or a catastrophic injury, it’s important to have all of the information you can get before making or accepting a settlement offer. Were there any mechanical problems? Was the area infrastructure safe? All of these factors and variables should be considered if you want to get the best result possible from an injury claim. The Buffalo car accident lawyers at Cellino & Barnes fully investigate each claim, and they immediately prepare their cases for trial. This strategy has helped our law firm recover billions for our clients. As with all personal injury cases, yours needs to be tailored to your specific situation. In many cases, there can be unforeseen factors that should be addressed by an experienced car accident attorney. Call Cellino & Barnes for a FREE consultation with one of our Buffalo car accident lawyers. Our team will help answer any questions you have about our law firm, injury claims, and the insurance company. How Do Insurance Companies Calculate Pain And Suffering? 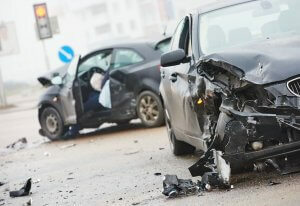 NEW YORK – Whenever a person has been injured in a car accident, they could get compensation for their injuries. Compensatory damages often include things like medical bills, lost wages, and transportation costs, which are all easily calculated. However, many victims of vehicle accidents ask our personal injury lawyers, How Do Insurance Companies Calculate Pain And Suffering? Pain and suffering are not as easily calculated as other quantifiable damages; there’s no mathematical formula to determine how much a motor vehicle accident victim should receive. So, how is it determined? Generally, this figure is determined by previous jury verdicts or previous settlements. This is one of the reasons why experience is crucial when choosing a law firm to represent you after you’ve been injured in a car accident. The bottom line is, insurance companies aren’t calculating pain and suffering for you. In fact, they’re not eager to give you any compensation. It’s usually up to your car accident attorney to determine a fair settlement figure. If the law firm and the insurance company can’t come to an agreement, it’s then up to a jury to decide how much your pain and suffering is worth. When it comes to settling personal injury cases, there are many factors to take into consideration. 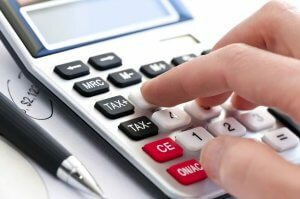 Some of these factors include the cost of past medical expenses and lost earnings. Future medical expenses related to the motor vehicle accident and future loss of income should also be considered. Then, there’s pain and suffering, which can be determined by an experienced Brooklyn car accident lawyer. Add all of these factors together, and that will help you determine a fair settlement amount. Pain and suffering can be difficult to quantify, but the Brooklyn car accident attorneys at Cellino & Barnes have years of experience and a track record for getting clients the best results possible. If you’ve been injured in a car accident, call us for a FREE consultation. We’ve heard a lot of questions, including “How Do Insurance Companies Calculate Pain And Suffering?” Our Brooklyn car accident lawyers aren’t afraid to get you answers. If you have any questions about your insurance company, vehicle accidents or injury law, do not hesitate to give us a call — we can help you find the answers you need. When Should I Settle My Car Accident Claim? NEW YORK – Filing a claim against the insurance company is a complex process that takes time, effort and experience. If you don’t have all of the information you need to negotiate with their legal team, you could end up with a bad deal. Many of our clients know this – so, one of the questions our Rochester car accident lawyers hear the most is, When Should I Settle My Car Accident Claim? Will I need to have surgery? What will these injuries cost to treat? How will my injuries impact the rest of my life? It shows the insurance company that you know what you’re doing, and that you’re serious about getting a fair settlement. 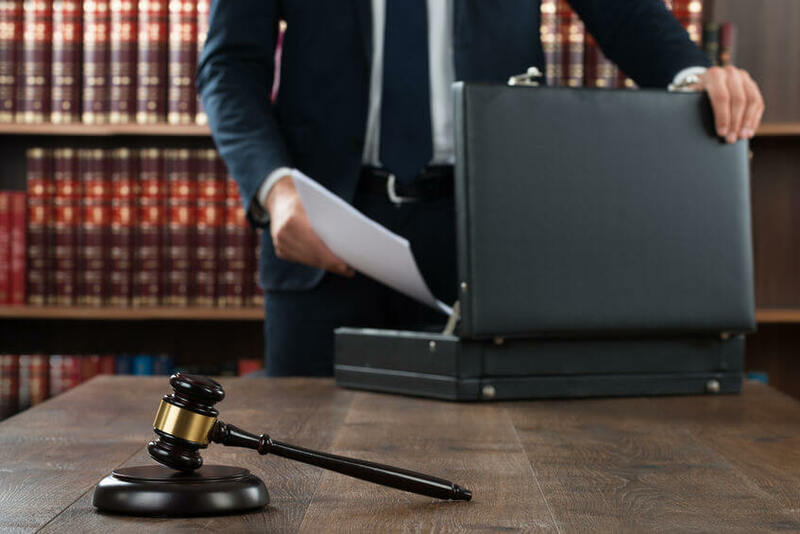 In case it’s necessary to take your case to trial, your team will already be prepared to convince a jury as to why the insurance company’s settlement offers have been insufficient. It’s often difficult to answer the question, “When Should I Settle My Car Accident Claim?” According to an accident lawyer, NY has some of the most complex car accident and insurance laws in the country. That’s why legal advocates will always suggest contacting a Rochester car accident attorney for a FREE consultation. If you have any questions about vehicle accidents or injury claims, our Rochester car accident lawyers can help.